"Own our own time" and "Uplift", two artprojects that deal with issues of time associated with human pace. The project also includes questions about tradition and development, the participants' own stories and about attention. It is run by the Swedish artist Kerstin Lindstrom with the help of skilled knitters from many countries. Own our own time IV is going to be performaned in Sweden for the first time. 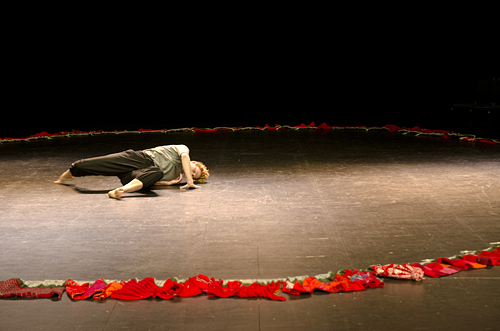 This time Own our own time IV collaborate with choreographer Helena Lundqvist,dancer Ulrika Liljedahl, Regionteaternväst Dans and 83 knitters. The performance will take place in the main exhibition hall at Borås Textile Museum. 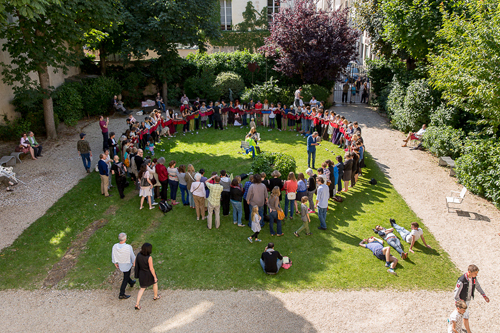 Inside the circle formed by the large knitting Ulrika Liljedahl is going to performe. Time is portrayed again in a new context. "The river Viskan makes a loop and float past, carrying stories about time and the flow of water and colours. About humans and machines need to split and measure. 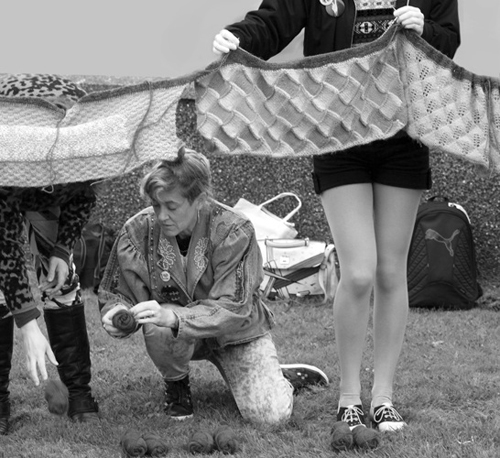 With knitting, movement and dance creates and recreates memories of the textile industry's history. " The yarn is spun at the Textile Museum's own machines and many colours have been dyed by the museum staff in collaboration with the Swedish School of Textiles. Copyright Kerstin Lindström, Sweden. Temat Enkel. Använder Blogger.